Is the damper supposed to be a whole piece without holes for air to get through? This piece will have holes in the damper plate. Does this damper connect directly to the stove's flue, or to the first straight section of stove pipe? 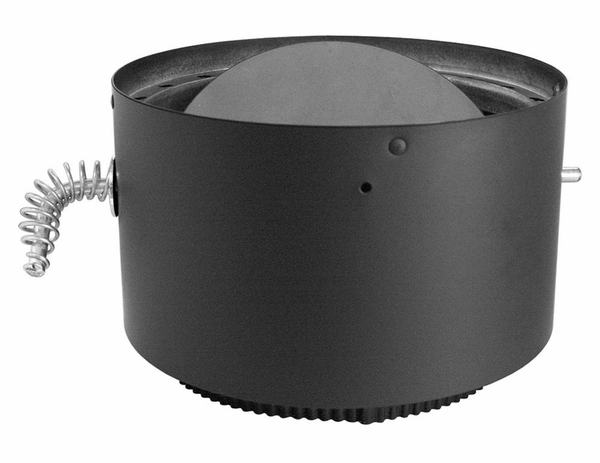 This adaptor fits directly on the flue collar of the stove, with the bottom end fitting inside the opening. Is this pipe with damper pre-assembled? Yes, the damper inside the pipe on this piece is pre-assembled. I installed this last year and it does a good job.